you have more strength than you know. for sweetness powers your wings. and create beauty as your path. The monarch butterfly, Danaus plexippus of the “brush-footed” or Nymphalidae family, with its brilliant orange, black, and white-dotted wings, is one of the most well-known butterflies. They are found throughout North America and are also established in the Hawaiian Islands and Australia. 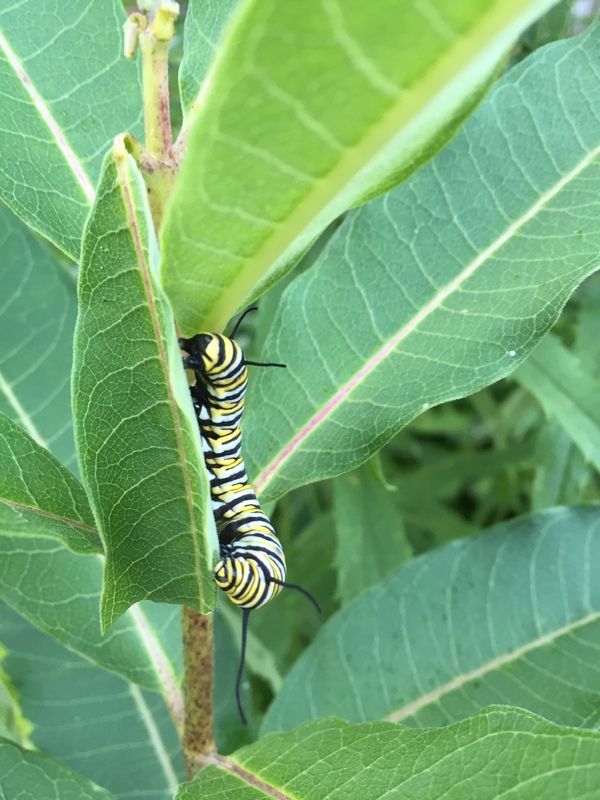 I have been watching monarch caterpillars in the garden, munching their way along the milkweed leaves. Good thing the milkweed gathered enough energy from the sun through their leaves to have already formed their pods, which have grown rapidly to full size – now they just sit and wait for autumn to dry out their husks, splitting them down the middle, and for a good, strong breeze to send the parachute seeds aloft. The seeds will land a-ways from the parent plant – and if they are lucky, they will grow next spring. But the milkweed actually has a more efficient tactic as well – though the plant will die back in the winter, the roots stay alive beneath the ground and send up more shoots in the spring. And this is why you can find a line of them growing. Or if you pull up one to transplant it, you’ll suddenly find you are also moving several more with branching roots connecting them. You have to be very gentle in transplanting milkweed because the thick stems break very easily. You will notice when any part of this plant is broken it will exude a white sticky sap. This latex-like sap is toxic, containing cardiac glycosides, and this is exactly what the caterpillars are eating as they consume the leaves. The toxin doesn’t affect them but it makes the adult butterfly taste absolutely awful to a bird. (You will have to ask a songbird because this is only hearsay to me, not having tried to eat a monarch butterfly.) It’s true that it is does not necessarily save that individual butterfly but that bird will remember that striking orange and black patterning as a warning not to partake. 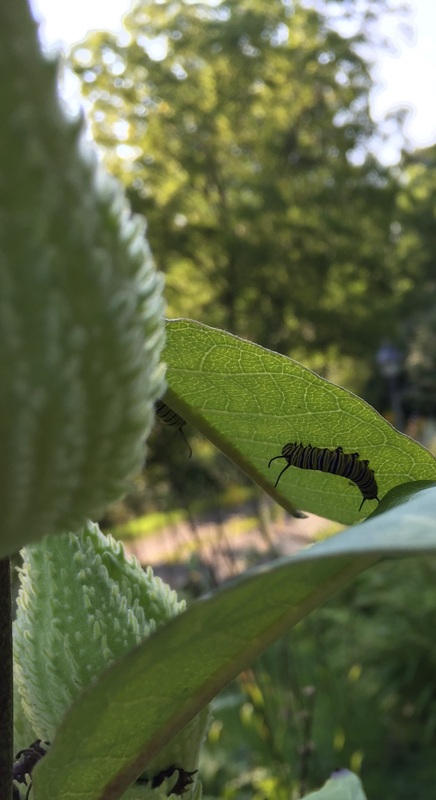 Milkweed is essential to monarch caterpillar development. The mama butterfly lays her eggs singly on the underside of a milkweed leaf. The eggs hatch and the growing hungry caterpillars go through about five instars before they are ready to enter the pupa or chrysalis stage. An instar is when the caterpillar molts, which means it sheds its old skin because it’s too tight after eating so much. 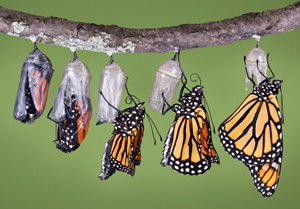 The chrysalis stage is basically when the being turns to goo inside its cocoon; entirely reinventing himself or herself. 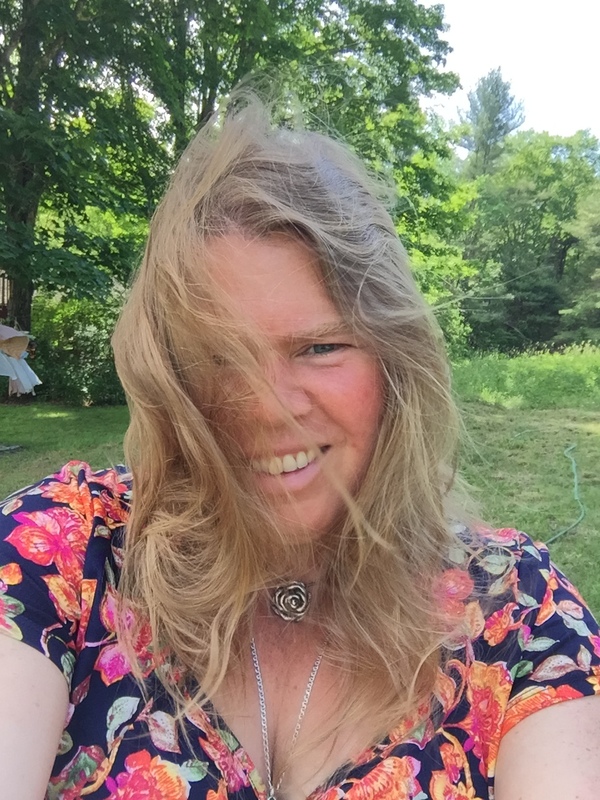 When the process is done, voila, the adult butterfly emerges. This magnificent butterfly is a powerful flyer. It is the only butterfly that migrates north and south each year, similar to many bird species. However, no single individual completes the round-trip journey. In the fall monarchs leave their New England homes and migrate to over-wintering grounds in Oyamel fir forests in the Transvolcanic Mountains of central Mexico. In the spring they mate and begin their journey north. However, these individuals do not make it back to their birthplace in the north, their offspring do. The monarch’s homing system is amazing and mysterious as they have never made the journey before, yet each year their descendants return to New England. 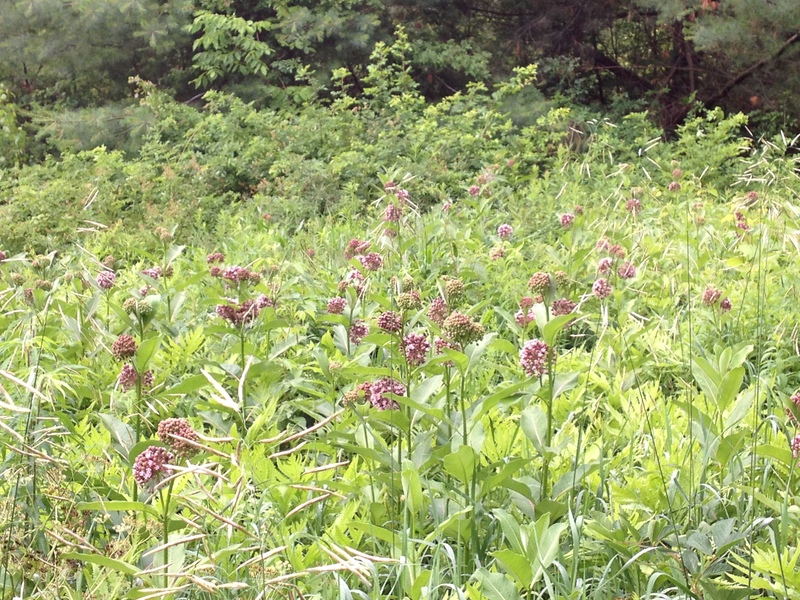 If you want to see monarchs you need milkweed. Grow native (not tropical) milkweed and they will come. And ask your friends and neighbors to grow and encourage common (Asclepias syriaca) and swamp (Asclepias incarnate) milkweed species. 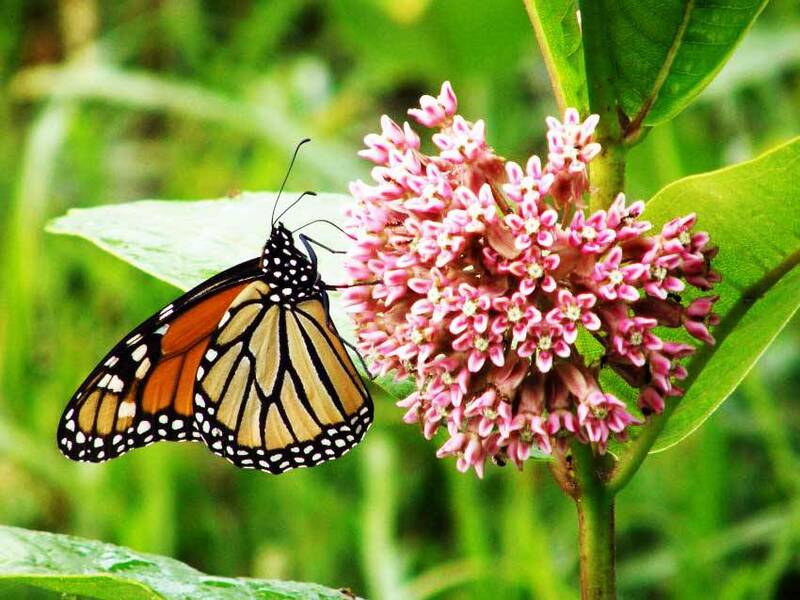 And ask your friends and relatives in other states to plant and keep milkweed in a part of their fields (and don’t spray them with pesticides!). It’s the only way to protect these migrators. Share the skies with our winged neighbors and let your hearts soar in September. Can you feel the transition in the air from summer to autumn? Supping on the sweetness of life. Into the Outside is a bi-monthly feature in the Ashfield News. This article appears in the September 2018 edition of The Ashfield News. All other images by Arianna Alexsandra Collins.